Should you pay £100 a week to boost your State Pension payments? Paying out for voluntary National Insurance contributions now could improve your state pension by up to £4,000 – but it’ll cost more if you wait until after 5 April 2019. Anyone who reaches state pension age after 5 April 2016 and has a gap in their NI payments between the 2006-07 to 2015-16 tax years has until April 2023 to ‘plug’ the holes by making voluntary contributions. So, is it worth it? In the new tax year, the amount you pay for voluntary National Insurance (NI) will increase to a more expensive flat rate for all tax years. But, if you pay between £600 and £700 – the equivalent of £100 a week between now and April – you could pay off a missing year in your NI record and secure thousands of pounds of state pension when you retire. We explain how to check whether you have any gaps in your payment history, and how much you could save by topping up now. What are voluntary National Insurance contributions? In order to qualify for the full state pension, your National Insurance record needs to show 35 years’ worth of contributions. If you’re employed, you’ll probably pay National Insurance automatically, with contributions taken from your pay packet before you receive it. For the self-employed, National Insurance will make up part of the payment you make when you submit your self-assessment tax return. You may also qualify for National Insurance credits if you’re out of work in certain circumstances – you can find out more in our guide. But if there are periods where you haven’t made contributions or earned credits, you can opt to make voluntary payments to fill in the gaps, known as Class 3 contributions. Class 3 contributions are voluntary: they won’t be taken automatically by HMRC and you have to choose to pay them for yourself. Find out more: National Insurance rates. How much will I save if I pay National Insurance contributions now? You can usually pay contributions for the past six years, and some people can top-up over a longer period. While you’ll still be able to top up past years’ NI contributions after 5 April this year, you’ll have to pay more for it. Previously, rates varied year to year, but from the next tax year HMRC will charge a flat rate that is higher than any previous charges. The table below shows the difference between what you’ll pay if you make voluntary NI contributions now at the concessionary NI rates, compared with what you’ll pay from 6 April. As the table shows, if you’re able to buy top-ups for all of the years with concessionary rates now, you could save up to £639.50. If you have several years of missing contributions to top up, this will add up to a substantial saving. Is it worth paying for the top-up? Before you decide to go ahead and pay out on voluntary contributions, there are a few things you should weigh up first. If you reached, or reach, state pension age after 6 April 2016, you’ll be on the new single-tier system with a ‘full level’. You’ll qualify for a full state pension if you have 35 years’ worth of National Insurance contributions, and to get anything at all you need to have 10 years of contributions. There is a standard ‘full’ level each year, which starts at £164.35 per week – but you might receive more or less than this. The amount of state pension you receive is worked out by taking the highest figure from what you would have received on the last day using the old system, versus how much you’d get paid if the new system had been in place for the entirety of your working life. You should check your state pension online to see whether you’re able to increase it by making voluntary contributions – in some cases, buying extra years won’t make any difference. Plus, even if you do stand to gain an extra £4,000 over the course of a 20-year pension, this will even out at an extra £200 per year, or £16.67 per month – not a life-changing amount, though every little helps. 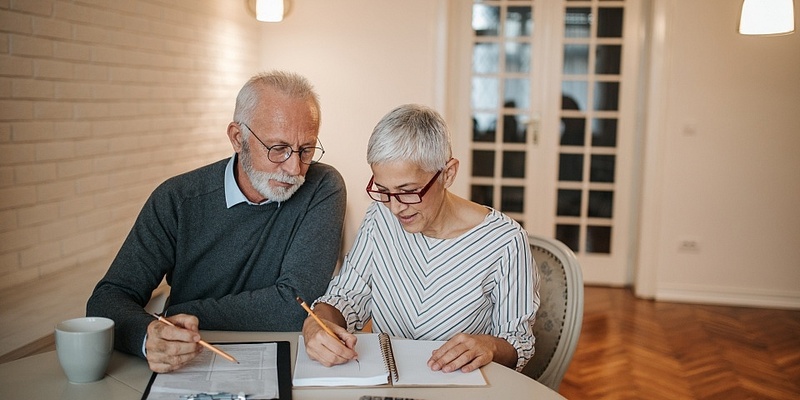 It’s best to consider what other forms of income you’ll have during retirement, and whether topping up your state pension is the best thing to do for your financial circumstances. For instance, you could boost your state pension payments by choosing to defer it instead: you’ll delay receiving the payouts, but will receive more when you do choose to claim it. Find out more: how much state pension will I get? How does National Insurance affect state pension payments? In order to qualify for the state pension, you must have paid a National Insurance contributions for a number of years. Those who reached state pension age before 6 April 2016 needed to have 30 years’ worth of National Insurance contributions to get the full state pension. Under the new rules, those who reach state pension age after 6 April 2016 must have paid National Insurance for 35 years to qualify for the full state pension – and at least 10 years of contributions to receive anything at all. Having gaps in your NI contribution record can mean you’ll receive less state pension than you expect. To make sure this doesn’t happen, you should apply for National Insurance credits if you’re out of work due to circumstances such as being on maternity leave, or sickness. Or, you can making voluntary NI contributions to pay for the gaps to be filled. Find out more: National Insurance and state pension. Who needs to pay voluntary National Insurance? Technically, nobody needs to pay voluntary National Insurance. It’s a decision you can make if you want to ensure that you’ll receive the state pension. You might want to do this if you have any gaps or part-years in your National Insurance record that can be topped up. For most people, this will only be in the past six years. You can get gaps as a result of being employed on low earnings that don’t qualify for income tax, working abroad, being self-employed and earning under the threshold required for Class 2 contributions, or not working for any length of time without claiming benefits. This includes being off work on maternity leave, or leaving work altogether to raise children, and failing to claim child benefit. Doing so will mean you qualify for National Insurance credits to fill any gaps; if not, your NI record will suffer. You can check whether you have any gaps in your National Insurance record by visiting the check your state pension site. There, you can see a summary of your NI record, and see any gaps that may need filling. Find out more: can I top up my state pension?